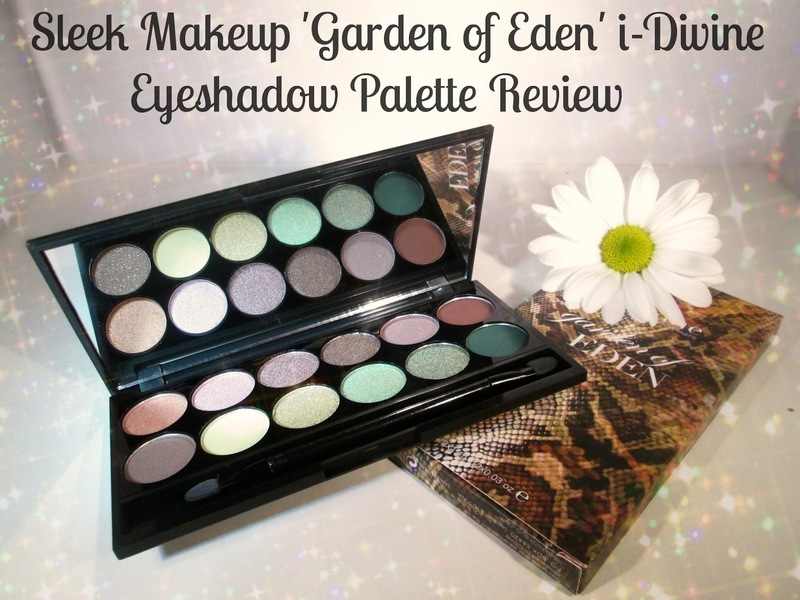 You may have seen in my latest makeup and beauty haul that I finally managed to pick up the gorgeous Garden of Eden palette by Sleek Makeup. I've had the palette on my wish list since it's January release so you can imagine I was super happy to finally have it in my life and my goodness it doesn't disappoint. The packaging for the Garden of Eden Palette is the same as the standard Sleek Eyeshadow Palettes with its usual matte black casing and large mirror inside. As for the outta packaging... I managed to nab the palette's Limited Edition snake skin designed box, as the packaging is limited edition they will only be available whilst stocks last but don't worry the Garden of Edan palette is a permanent fixture in the i-Divine eyeshadow palette line. 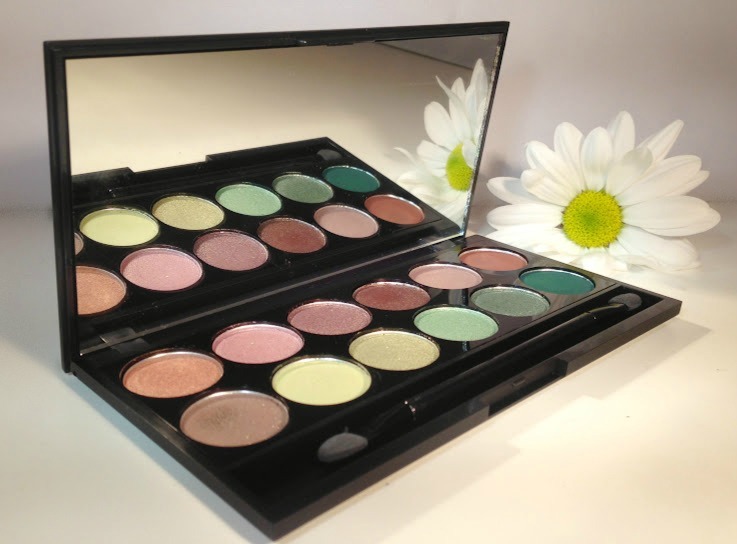 The Garden of Eden palette contains 12 gorgeous shades that are all nature inspired, I just love the combination of the earthy browns, dusky purples and the organic greens, it's such a lovely take on a neutrals palette and will certainly suit all complexions and eye colours, however I do think this palette would make brown and green eyes pop in particular. As with most Sleek palettes the quality of each eye shadow is amazing, with most feeling buttery soft and are so easy to work with. Gates 0f Eden - A warm toned golden shade which has some copper tones to it, this eye shadow has a lovely soft, frost texture and amazing pigmentation. Eve's Kiss - A pinky lilac shade that has a metallic almost foil finish. Paradise On Earth - A deep brown-taupe shade with dusky purple tones that has a metallic finish. Python - A rich chocolate brown shade that has a metallic finish, great pigment and amazing colour pay off. Forbidden - A matte blend of grey, taupe and purple tones with micro glitters that can fall out slightly upon application. Flora - A dark matte brown, perfect for getting all smokey he he, even though it has a matte finish it has beautiful levels of pigmentation. Entwined - A dark taupe shade with a matte base that has a sprinkling of golden micro glitter, this shade can be a little chalky and has a dry texture so it quite hard to swatch. 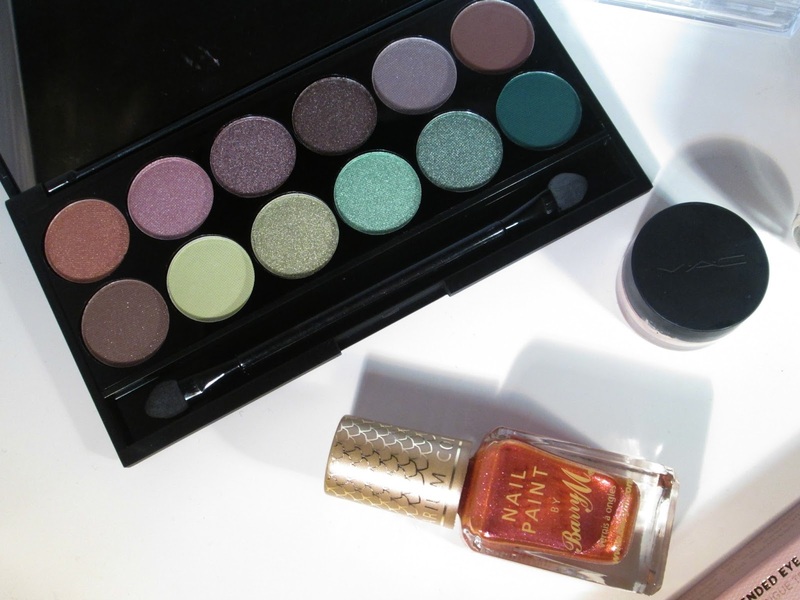 Adam's Apple - A light matte green that reminds me of a golden delicious apple ha ha, its a slightly chalky eyeshadow and doesn't scream pigment either. Fig - A metallic olive green shade that's super soft and packed with pigment. Evergreen - A bright green metallic shade, again with super pigmentation. Fauna - A frost forest green shade, great pigmentation. Tree Of Life - A deep matte forest green shade, despite being matte it has an intensive amount of colour pay off. Like with all Sleek palettes, I found all of the eye shadows in the Garden of Eden palette lasted really well on my oily eyelids and stayed in place all day, the only time I did experience any fall out was when applying the more glittery shades within the palette, I found a small amount of glitter did fall onto my under eye area but it was nothing major and easily fixed with a foundation brush. All of the shadows pick up on the brush well and blend out beautifully, making it a great palette for beginners. 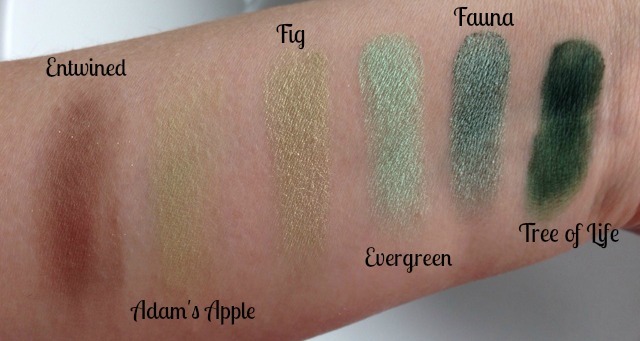 I found the only shades that didn't have intense pigment are Entwined and Adams Apple, don't get me wrong they are still lovely shades and blends out nicely but they do need some layering to create a good amount of colour payoff. Overall I love this palette and Sleek have triumphed yet again in my eyes, as you can see from all the beautiful shades this palette contains, it can provide you with a multitude of looks from day to night, from subtle to more dramatic, from spring through to autumn, I think its a fabulous little palette that most would enjoy. The Sleek Garden of Eden Eyeshadow Palette retails for £7.99 which I think is an absolute bargain, that works out around just 66p per eyeshadow!!! 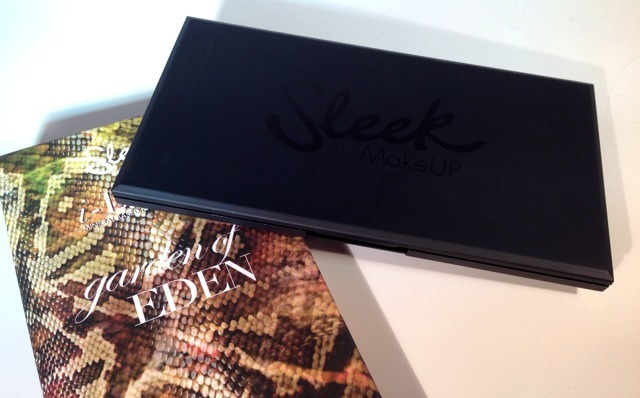 You can buy your very own Garden of Eden palette online at www.sleekmakeup.com and www.superdrug.com and it's also available in selected Superdrug stores. 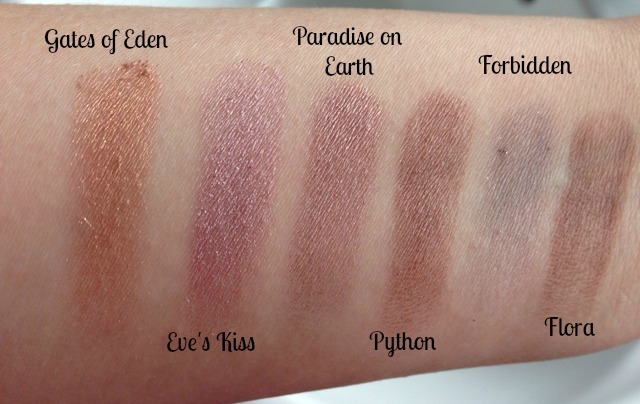 Have you tried the Garden of Eden palette yet beaut's? What did you think? I'd love to know. I LOVE the smell of coconut and Black Coconut has quite a heavy, rich coconut scent to it which makes me think of holidays abroad on some exotic, paradise island, I can dream I guess ha ha. Mmm raspberry sorbet...Yum!! I cant think wait to buy this one again, it has a rather strong, berry scent and really does fill the whole house with its delicious fragrance, it really lingers too after blowing it out which I think is super nice. Bahama Breeze is definitely one to burn in the summer, it has a cool, tropical combination of pineapple, grapefruit and mango, I've actually given this a whiff in the shop and it reminds me of some sort of tropical cocktail mm mm, if your a fan of the fruity scents you'll love this one. Under The Palms got my attention again because of its coconut scent, it also contains sea grass and palm leaves. I think this will certainly get you in the holiday spirit he he. I think this set of sampler melts is a great idea if your stuck on which spring time scent to choose and I want it so bad, at least you can try a little bit of everything then and not miss out he he. The floral set comes with Lovely Kiku, Pink Hibiscus, Midnight Jasmine, French Lavender, Fresh Cut Roses, Beach Flower, Loves me, loves me not and A Child's Wish. The description of this candle really lured me in 'A warm breeze of soft flowers and fresh green fields captures the sweet innocence of childhood days playing in the backyard.' It really reminds me of when I was younger so I certainly want to give this one a cheeky little purchase. Wow this Yankee Candle looks amazing... I must admit it's the candles multi coloured swirl effect that basically has me lusting after this one, however it's scent of a blend of tulips and refreshing meadow showers sounds lovely too and seems like the perfect spring time candle. And there you have it, the Yankee Candles I'm currently lusting after for spring/summer!!! Are you beaut's addicted to Yankee Candles like me he he?? What are your favourites for spring/summer?? I'd love to know. You may remember back at the end of January I added a new little monthly addition to my blog in the shape of non beauty favourites, I thought as it was a new year and all the jazz I'd add something new to my blog, I'm really enjoying the new little feature and I also think it's a great way for me to look back and see what I was loving non beauty wise throughout the year. Firstly, this month I've been loving the first signs of spring. We've been getting some brighter, slightly warmer days in the UK recently and I love it. I'm always out walking my pooch Alfie so to see some of the tree's blossoming and the daffodils coming out in bloom is so pretty, it's also great not having to feel freezing cold all the time too. I've always been a massive Hollyoaks fan and I watch it everyday without fail, but how amazing has it been this year.... The story lines have been incredible, so many twists and turns and the Spring 2014 trailer that got released 2 weeks ago looked amazing!!! If you haven't seen it already then you can watch it HERE. Who else is wanting Finn to finally get his comeuppance, and whats going to happen when Joe Rosco wakes up? Will Maxine finally be able to escape from horrible Patrick? Arhhh I cant cope ha ha! I love the Bastille album, it's one of those albums that's so easy to listen to no matter where you are or what your doing, my favourite songs are Flaws, What Would You Do, Things We Lost In The Fire and Oblivion. It's no secret I love abit of Disney, I mean who doesn't? This month I've been loving Frozen and the Frozen Soundtrack, it's just so catchy and super cute. Me and the girls at work have even been playing the soundtrack there ha ha, I love Let It Go and Do You Want To Build A Snowman he he, I seem to be singing it all the time, I even wake up with the songs stuck in my head. Every Easter I'm the same, I get addicted to Creme Eggs first which was last month and then I move on to Mini Eggs and this month I've been going mini egg mad, it doesn't help that I practically work next to a Poundland store that sells the big bags for £1.00 and you cant just eat 1 or 2 oh no no no, you have to eat the whole bag! Ooopsie!! If you read my recent Primark Haul you would have noticed I picked up these cute PJ's, I absolutely love them and find myself washing them constantly so I can just keep wearing them everyday ha ha, they are so soft and comfortable, and great to lounge around in too. They definitely have to be my favourite Primark purchase so far! What have you been loving non beauty wise throughout March??? I'd love to know!!! 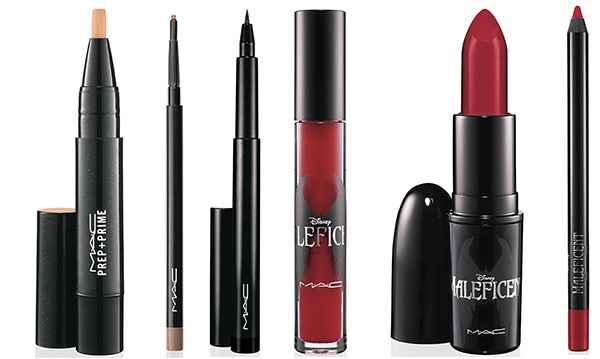 MAC Maleficent Collection Summer 2014 | Sneak Peek! If you follow me on Twitter or Instagram you will know I've been super excited for Disney's upcoming Sleeping Beauty inspired film release of Maleficent! 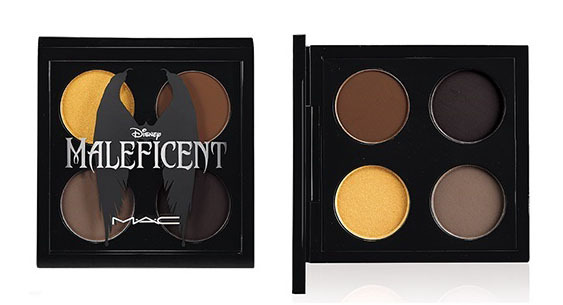 You can only imagine my excitement when I heard MAC had announced that they are officially collaborating with the movies makeup artist to design a Maleficent inspired collection, arrrhhhh cue Hayley dancing around the room ha ha .So today I thought I would share with you all what the line consists of. 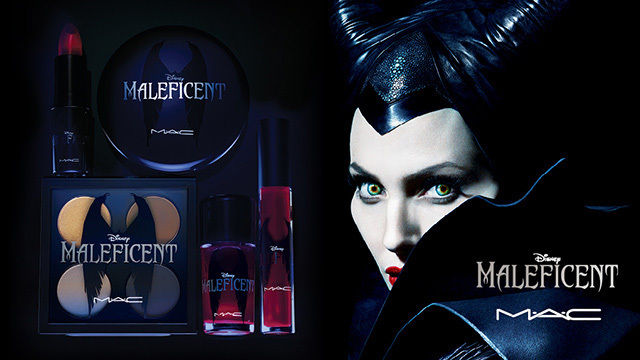 The limited-edition line will include 14 products that cover every beauty base, from eyeshadow, lipstick to powder and nail polish, meaning you can recreate the stunning looks from the film yourself. 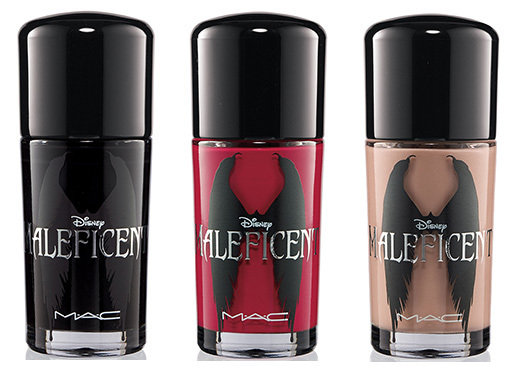 The line really does have an eerie, dark, striking, vampy look to it which reflects the look of the movie, I must admit for a spring/summer release it's not an obvious choice of shades but then again I don't think Maleficent is all about rocking pastels and neon oranges is she ha ha. 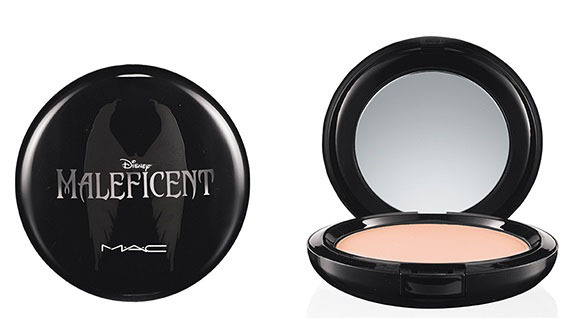 Overall I'm super impressed with the Maleficent Collection, I LOVE the look of the lip products, I'll definitely have to have those and I like the look of the smokey, neutrals within the eyeshadow quad too, the sculpting powder is certainly intriguing too. I cant wait for these to touch down into stores in June. Are you as excited about this collection as me? What will you be buying from the collection? I'd love to know. Also if you haven't seen the trailer yet then take a peek here, it looks amazing! I'm sure you all know I'm a huge MUA fan, their amazing quality makeup for small affordable prices always lures me in and whilst I was out shopping in Norwich a short while ago I spotted their £1.00 pressed powders and of course I had to pick one up to try, I mean why wouldn't I for a single little pound he he. MUA's Pressed Powder comes in four shades from light to dark, they don't have shade names, they have shade numbers instead that go from 1-4, the shade I opted for was shade 3 as the first 2 shades where out of stock and the last shade was slightly too dark for me. MUA claim their pressed powder creates a matte, perfect finish, and helps smooth skin and set foundation into place all day long, which for a £1.00 pressed powder is a pretty bold claim. 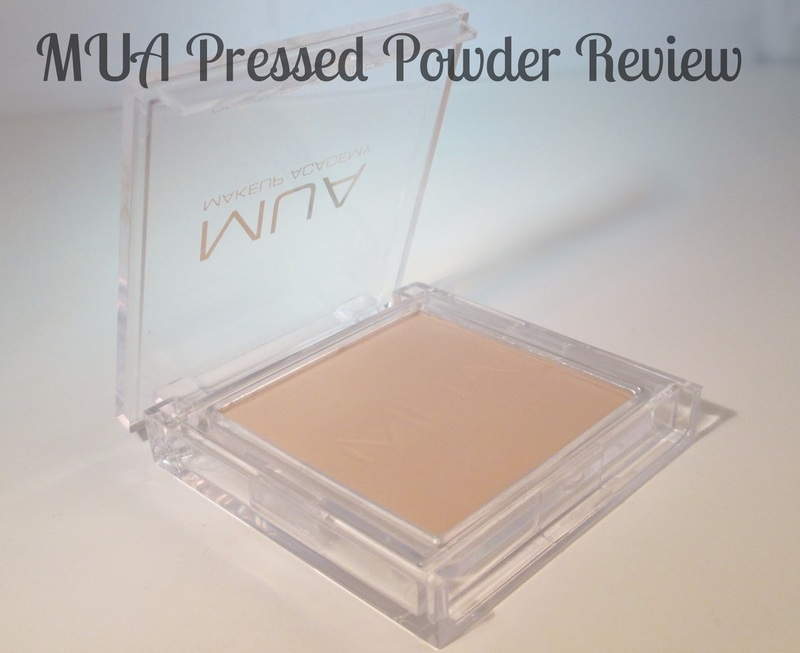 I have to admit I didn't expect much to come from this product as it was such a bargain but to my surprise this really is a fantastic compact powder for everyday use! The pressed powder comes in transparent, square packaging which is rather robust, I've actually dropped mine twice already and everything has stayed intact, the packaging didn't even open which I thought was brilliant. It's also a great size to throw in your handbag for any on the go touch ups. The powder itself is extremely finely milled making it so silky smooth to touch, it picks up on the brush well, I use my Real Techniques Blush Brush to do so as I find it gives me a nice light dusting as personally I don't get too oily but I'd suggest a flat top brush if you do have oily skin so you can push the powder into your skin as appose to dusting it over. I found the powder blended out beautifully giving most natural finish, it completely matted out my skin without looking cakey, controlled shine and any oil for around 5 hours which I think is great for such an inexpensive product. I've been using the pressed powder everyday since I bought it and it hasn't broke me out at all or clogged my pores, nore does it cling to any dry patches that I'm prone to getting from time to time. Overall I really do like this pressed powder, its so simple and easy to use, great for on the go and you really cant argue the price of just £1.00! 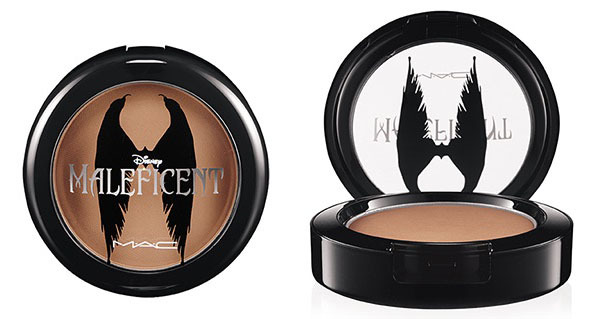 The only thing I would like to see is a translucent version of the powder as sometimes pressed powder shades can be abit iffy but apart from that it's great! 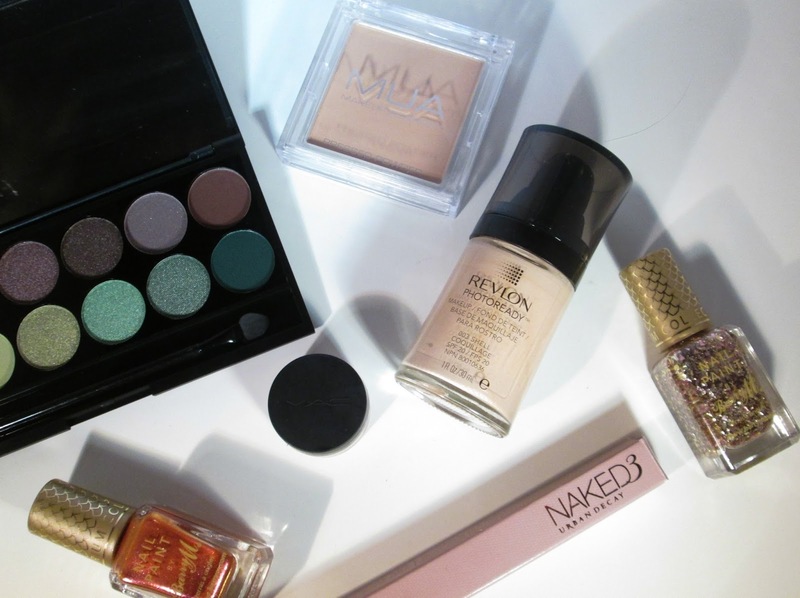 Have you tried any of the pressed powders by MUA? What did you think? I'd love to know. 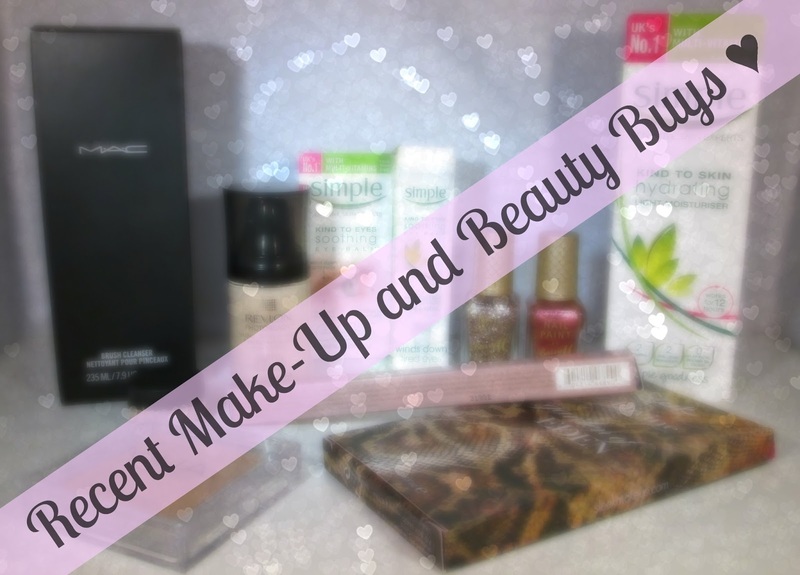 Whilst I was out shopping recently and having a good ole snoop at the Benefit counter I noticed a little Spring 2014 booklet peeking at me, being the makeup and beauty addict that I am, of course I took one as I wanted to read up on all of Benefits up and coming Spring releases. So today I thought I would share them with you all too. Firstly we have 'Big Easy' a multitasking complexion perfecter that contains ingredients known to balance moisture and control oil, whilst being soothing, comforting and free from radicals, sounds pretty amazing right. Big Easy has a liquid to powder formula which I think is great as theres no need to use extra products, it also contains an SPF 35 making great for Spring/Summer use and self adjusts to even out your skin tone an conceal imperfections. Overall I think this sounds pretty awesome, it will be hitting the Benefits counters in the UK during April and will be available in 6 different shades. This excites me silly amounts as I'm such a big fan of the original Benetint and Posietint lip and cheeks stains so too see them in lip balm form is a happy sight. The four new tinted lip balms contain mango butter so will hydrate the lips whilst tasting and smelling amazing I'm sure. They are said to be great for any of your upcoming summer holiday's letting you add a pop of moisturising colour to the lips that will be super long lasting whilst your splashing around in the sea. Benebalm is said to be a rose tinted shade, Posiebalm is a poppy pink shade, Chachabalm will be a juicy mango tinted shade and lastly Lollibalm will be a cute candy orchid shade. 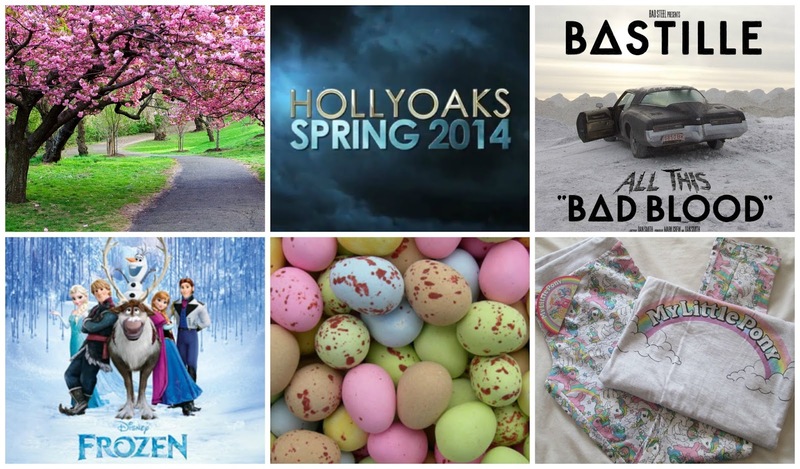 The balms will set you back £14.50 and will be out in the UK this Spring. 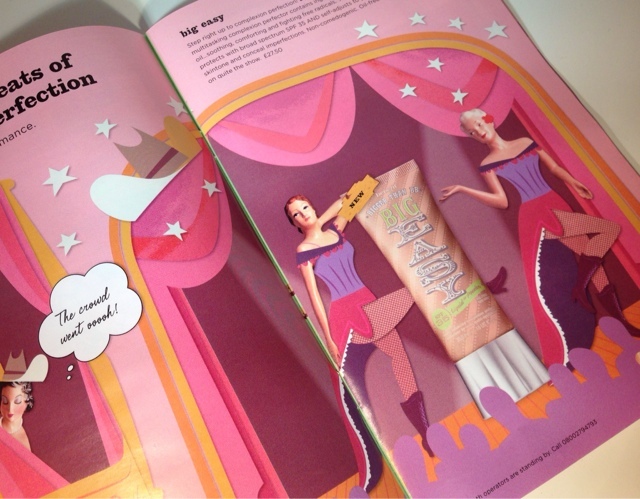 Benefit are providing us with 2 new skincare goodies this Spring woohoo. Firstly we have 'Dream Screen', this is benefit's invisible, silky, matte sunscreen that has an SPF 45, it claims to be ultra lightweight, moisturising and absorbs instantly which is great if your like me and hate that horrible greasy feeling some sunscreens leave. Secondly we have the 'Instant Comeback Facial Serum' which is an age-defying booster serum with a tri-radiance complex which helps tired skin look slightly plumped, hydrated, feel firmer, smoother and energised,, wowza that's alot ha ha. 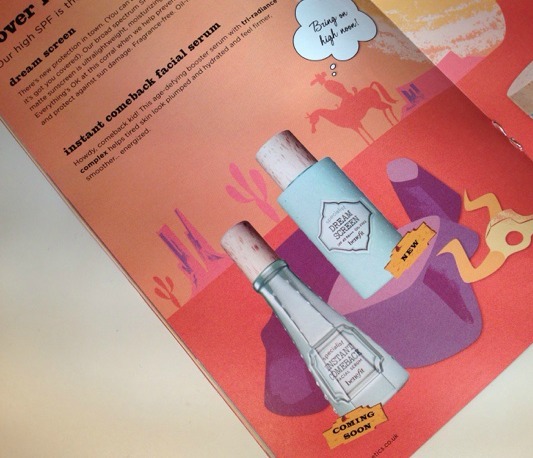 Both of these skincare goodies will be winging their way onto Benefit counters this Spring. 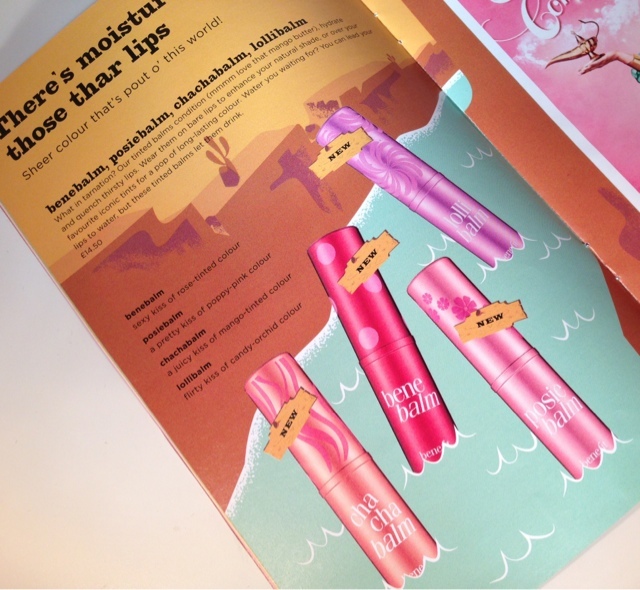 And there you have it, a few up and coming products from Benefit for us makeup and beauty lovers to splurge on this Spring. I think some other big hits for Benefit this spring will be their POREfessional Agent Zero Shine Powder, Gimme Brow, and their Stay Flawless 15-Hour Primer!!! I hope you enjoyed this different style of post from me today, I do have some more posts like this one lined up for future releases from other brands too so I'll look forward to typing those up for you beaut's!! 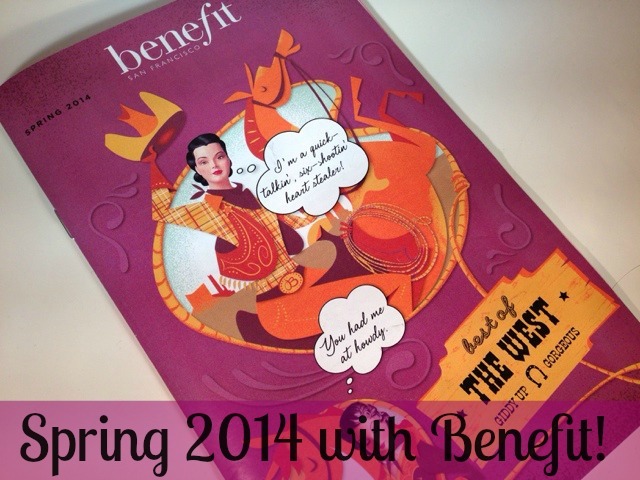 What Benefit new release excites you? I'd love to know! 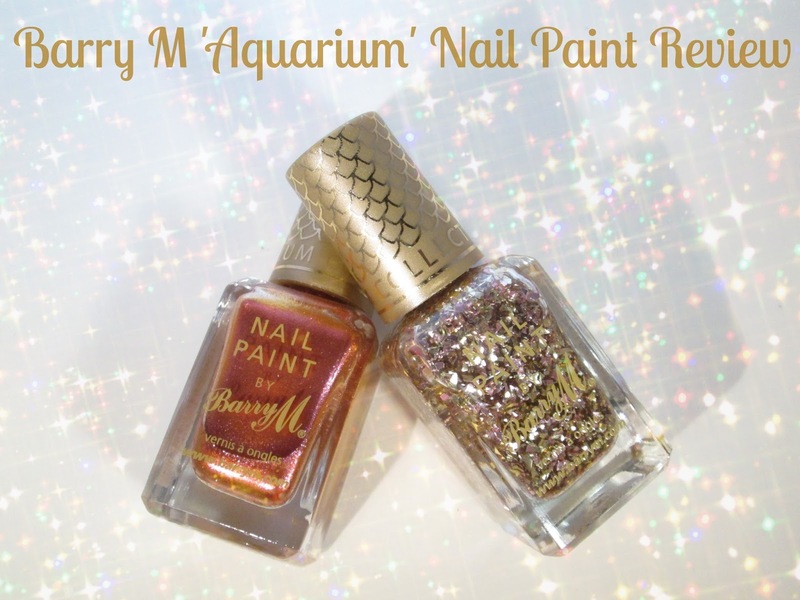 Recently Barry M have started bringing out their first new Nail Paint Collections of the year, firstly we saw the 'Silk Nail Paints' and now we have the Aquarium Collection. The new Aquarium Collection has an aquatic theme and contains 6 all new polishes, 4 of which have a mirror, two-tone effect whilst the other 2 are glitter topcoats that tie in with the aquatic them, all of which claim to allow our nails to glisten from every angle. I decided to pick up 2 of the 6 shades as Superdrug had them on offer for 2 for £6.00, I opted for Mediterranean, a copper polish that can reflect pink, gold and rose gold tones in some lights and Treasure Chest, a glitter top coat that has a clear base and contains large chunks of gold/rose gold glitter particles. The application process of Mediterranean was lovely, there was no streaking or bubbling and after 2 coats it was completely opaque, drying time was also rather quick, I put this down to the formula being quite thin. Once Mediterranean had dried I was left with a super metallic, foil inspired finish which looks incredible in different lights, my nails glistened so much, I just wish the photo's done Mediterranean justice as it really is a pretty polish but metallic shades are just so hard to photograph, it honestly looks more rose gold than copper in person. 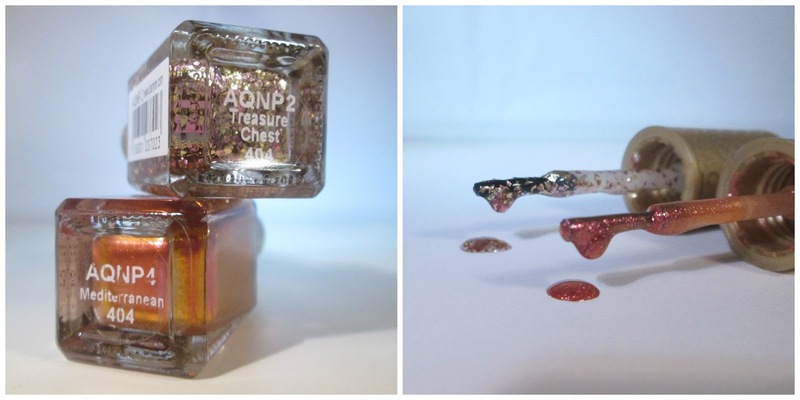 The glitter topcoat 'Treasure Chest' I found quite hard to apply because the chunks/shards of glitter are on the large side so its hard to distribute an even layer of the glitter, I recommend using more of a dabbing motion upon application. Overall, from the 2 polishes I have tried it has definitely got me lusting after the other 4 polishes in the Aquarium Collection. I just love the finish of the metallic/foil shades and they last so well on the nail too, 4 days to be precise without a single chip, however the foil effect did start to wear down right at the tip of my nails. I honestly wasn't expecting the lasting power to be that great, because as I said before the formula of the polishes are quite thin so I was pleasantly surprised. You can buy the complete Aquarium Collection from Superdrug and Boots and they will set you back £3.99 per nail paint. 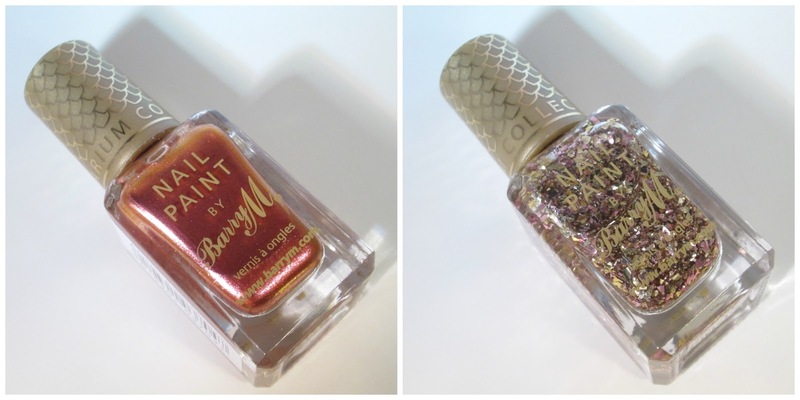 Have you tried the Aquarium Collection from Barry M yet beaut's?? What did you think?? I'd love to know. With Mother's Day fast approaching (30th of March) I thought I'd do a little gift guide of a few idea's on what we could all buy our lovely, well deserving Mum's out there. I've tried to include as much a possible in this gift guide from more affordable options to gifts that are a little bit more expensive, to some yummy chocolates and jewellery, hopefully I've got it covered, you can also check out my Mother's Day perfume of choice 'here' too. If your Mum is into her nail polishes this 5 piece mini holiday kit from Essie is perfect. 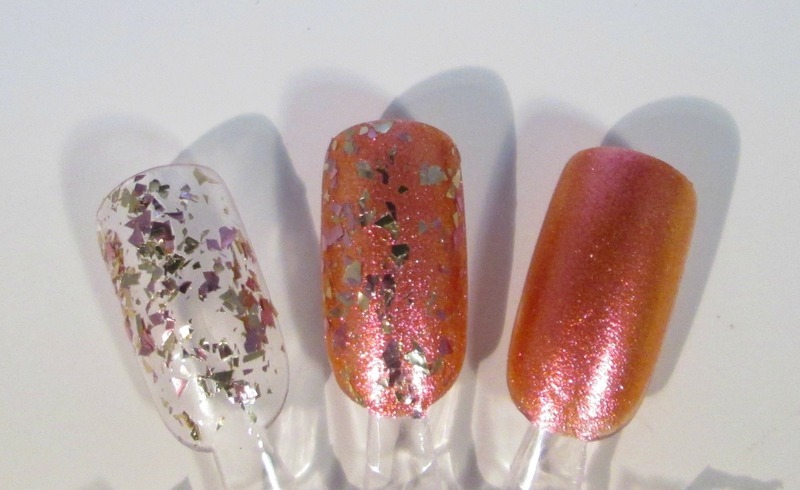 The quality of Essie polishes are great, the 5 shades in the holiday kit are great for the upcoming spring/summer months and personally I think the set looks lovely. I think this Eight Hour Cream Collection by Elizabeth Arden is a lovely gift, is contains a variety of different best sellers from the Eight Hour range and is sure to make your Mum feel all pampered with some luxurious goodies. You can find this collection in your local Debenhams or on their website. Who doesn't love a Yankee Candle, I know it do ha ha! Sweet Pink is from Yankee Candles new Dream Garden Spring Collection and I have to say it looks lovely. It's a two wick glass tumbler style candle which I think makes a nice change to the usual Yankee Candle glass jars, so if your Mum likes her candles this is sure to put a smile on her face. An obvious but yummy choice... chocolates!!! This 'Just for Mum' Collection by Thornton's contains a pre iced "Happy Mother's Day x" Chocolate Plaque, a Milk, White & Dark Chocolate Collection, A Mother's Day Heart Chocolate Box, I Love Mum Chocolates and a heart lolly all for £15.00. If your Mum has a sweet tooth she'll love these. I don't know about your Mum but mine drinks gallons of tea a day, I swear ha ha... So instead of the traditional 'I Love You Mum' cups/mugs I thought I'd switch things up with a gorgeous Cath Kidston Mug, it's pretty, great quality and affordable, your Mum will love it. How pretty are these little stud earrings from PANDORA. I think these are perfect if your Mum likes more dainty, delicate earrings and would make a gorgeous Mother's Day gift if you want to spend that little bit extra. Flowers are something I get my Mum every Mother's Day along with a few other bit's and pieces, you really cant go wrong with flowers, they looks pretty, smell amazing and you aren't limited with them either, you can buy a bunch as big as you like with you Mum's favourite flowers in mind. 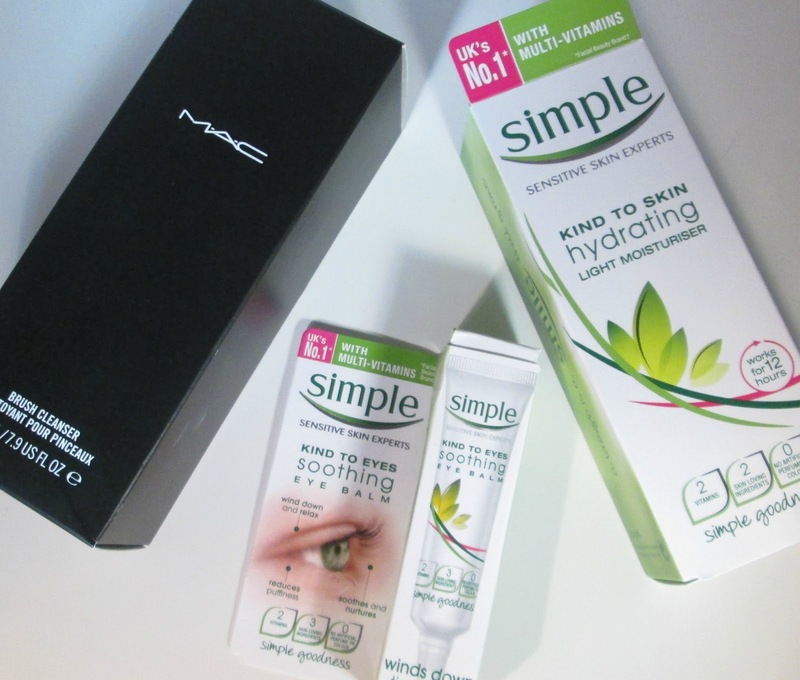 And there you have it girlie's, a gift guide full a pretties that your Mum's would enjoy. I hope this has helped or inspired you on what you might want to treat your Mum too this Mother's Day.